She cracks me up sometimes. Don't worry, I kept an eye on her the whole time she had this safety hazard around her neck. 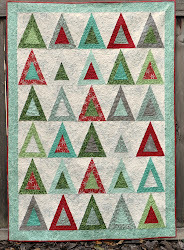 And those are some very happy colors on that quilt! How do you not squish the stuffing out of her?! So cute!! Oh I love it! My kids take my things but they don't look that cute! Love the quilt and the way your binding is so beautifully draped around your daughter - she's a cutie pie. I check your Etsy store and all of the things you've made are very cute. keep up the good work. Can't wait to see more. Very cute helper you have there! The quilt is looking great! Love that smile on her :) Your quilt is looking great - I love the quilting so far! Sooooo cute! she's such a cutie fashionista! 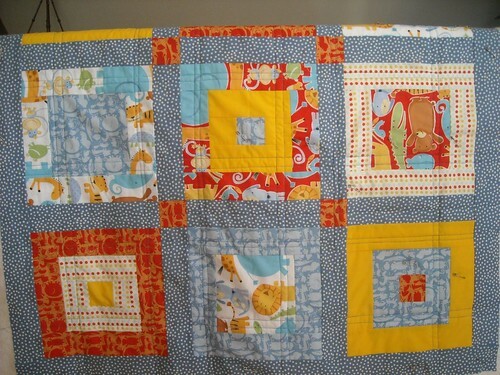 Your quilt is looking gorgeous and the sunlight really makes it shine! 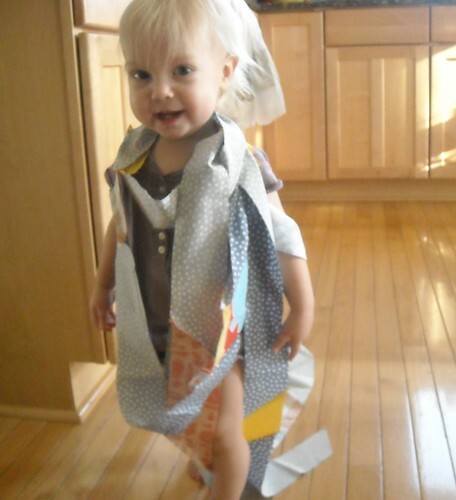 Sissy is so adorable - she'll be sewing with you before you know it!